Lam is a Project Manager at Factor Design Build. His woodworking and carpentry experience has varied from set building to furniture and cabinet making and finish carpentry. Lam is a California native who attended Oberlin College for studio art and the North Bennet Street School for preservation carpentry. The preservation carpentry program at North Bennet was a great blend of history and hands on work, focusing on architectural history from the 17th century to present day and the hand skills of historically trained joiners, timber framers, and window sash makers through projects around the Boston area. 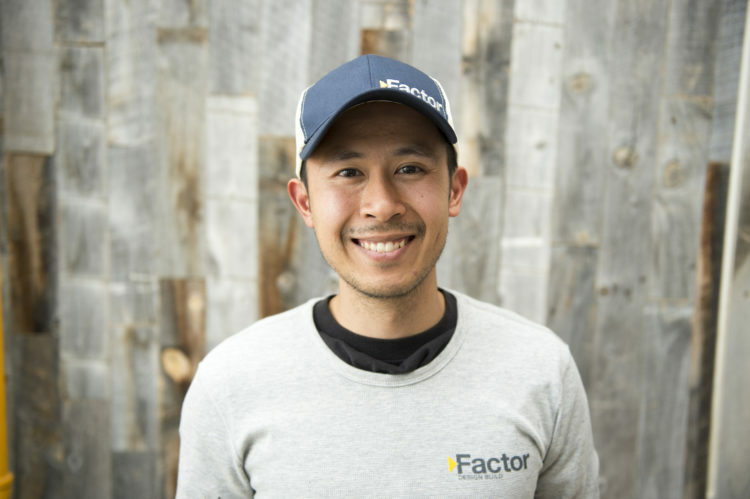 Lam is excited to add his experience to the talented team at Factor Design Build. In his free time Lam can be found reading, hiking, trying to learn the guitar and going to stand-up comedy shows.